Finding inspiration as a performer is sometimes key to giving that moving performance yourself, whether you’re a figure skater, gymnast, dancer, actor, singer, or any other type of performer. Here are two videos that can help you find inspiration in many different ways. Ice skating shows are one of the most popular parts of figure skating for the audience. 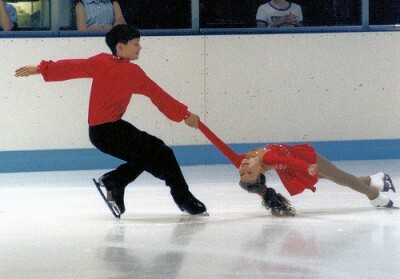 Usually the skaters in shows are previous competitors who have retired from amateur status (competitive skating) and gone professional (just doing shows). The professional skaters perform in shows like Disney on Ice with productions of Disney stories that start in the U.S. and then tour around the world, Holiday on Ice which tours around Europe and Latin America, and cruise ship shows on cruise ships with ice rinks. 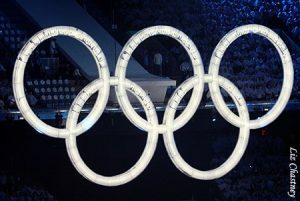 There are also shows like Stars on Ice that have both top Olympic and World professional and amateur athletes performing, such as Evan Lysacek, Sasha Cohen, and Kurt Browning. Every year there are thousands of smaller private shows that both amateur and professional skaters perform in all over the world as well. Usually in shows you will see many exciting moves, such as backflips, that aren’t legal in competition. While many of these moves are more entertaining to the audience, many of the show tricks are actually technically easier than the moves you will see in competition. This is because the sole purpose of a show is to entertain the audience, not to get higher points for harder moves. I attached a video that one of my students found on YouTube. The team is Jodeyne Higgens and Sean Rice who are former two-time Canadian national bronze medalists and World competitors. I found the video to be a very entertaining show program. Notice how small the rink is and how Jodeyne and Sean still effortlessly perform a very entertaining program with advanced tricks! Note: See Upcoming Events page for summer class information at the Kroc Center in San Diego! All individuals need inspiration in different ways for getting into character. How you get into character may be completely different from how your friend, teammate, or co-worker gets into character. I love using movies and TV shows to inspire character!